We have a small private dining area that can accommodate up to 40 people comfortably. It has large windows with a beautiful view. Plus we offer a projector screen and projector if needed. 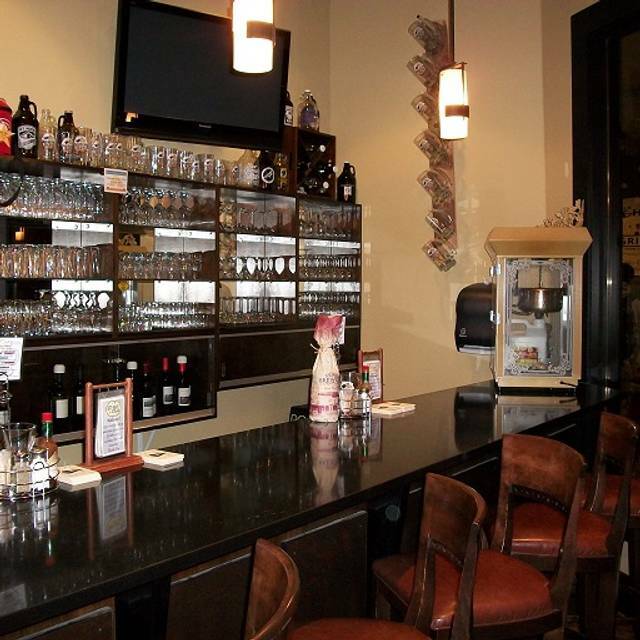 The Beehive Grill located in beautiful downtown Logan, is Cache Valley"s only Root Beer Brew Pub. 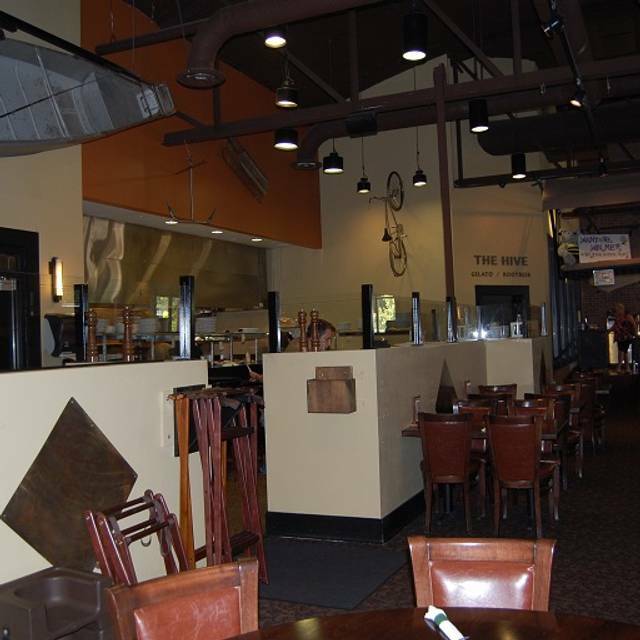 Our warm and versatile atmosphere accommodates casual and fine diners alike! Dine in the main restaurant and watch our chefs prepare your meal in our open kitchen, or choose the pub to experience our full bar and micro brews on tap in a pub atmosphere. 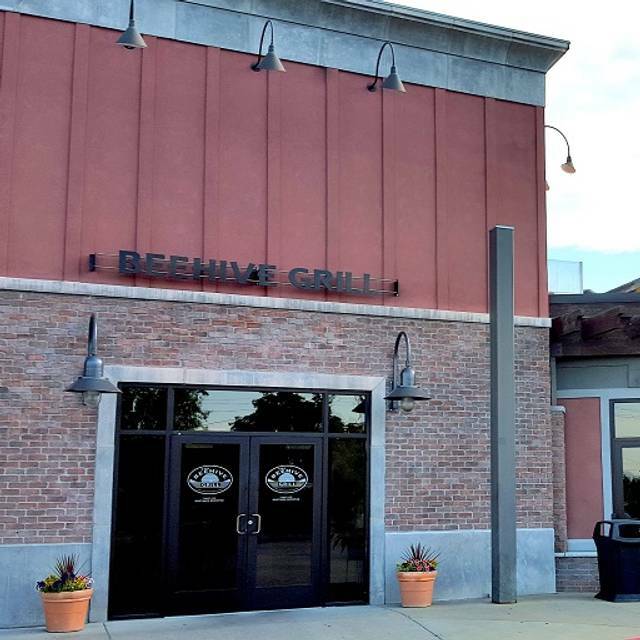 The Beehive Grill is great for families, friends, and business. 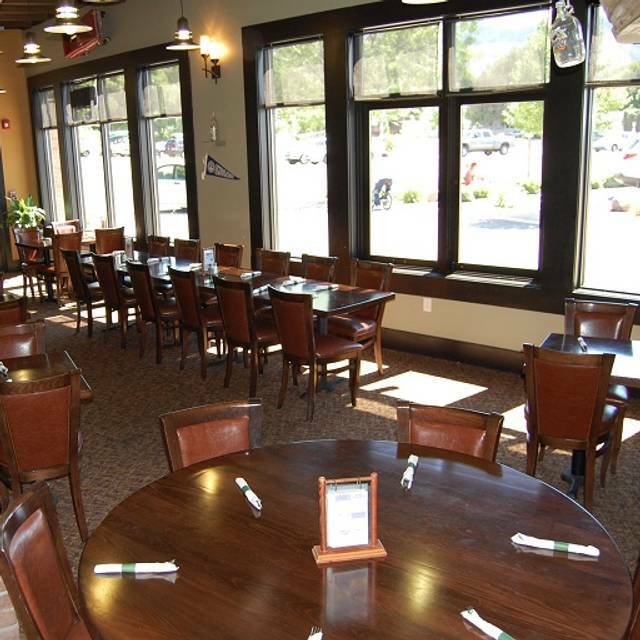 We accommodate large groups either in our private room or in the main restaurant. Come take a look at our versatile menu while experiencing our fast and friendly staff! For Dessert, we have our homemade gelato offered table side or on your way out. Make sure to sample all eleven of our rotating flavors as you make your way through our lobby. We're ready to serve you at 11:30 every day of the week! Start your dining experience with some amazing appetizers! You can share with the whole table.... or not! "Going Green" can make you feel pretty good about yourself... here at The Beehive Pub & Grill, you'll feel amazing! thick and chunky - we seriously pack the veggies in! 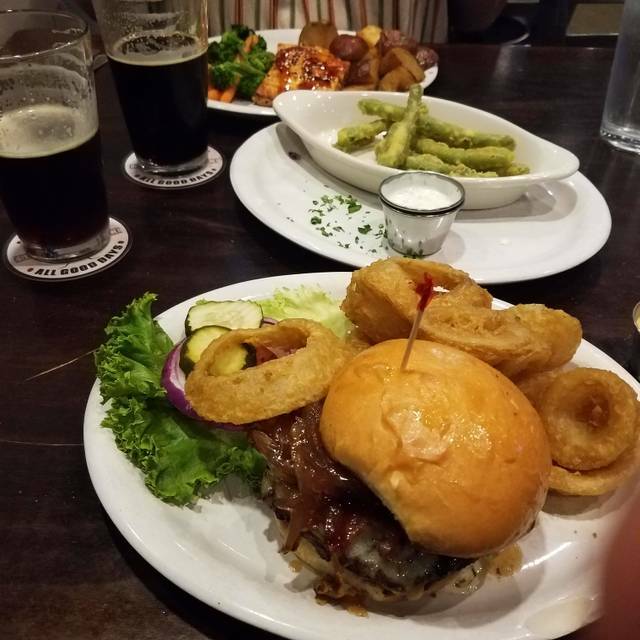 (All beef burgers are cooked medium unless otherwise specified) Burgers are made of 1/2lb of fresh Angus Chuck and served with lettuce, tomatoes, onions, pickles and choice of fries, coleslaw or onion rings ($0.75). You may also substitute grilled chicken in any of our burgers. Gluten-free buns are available ($1). 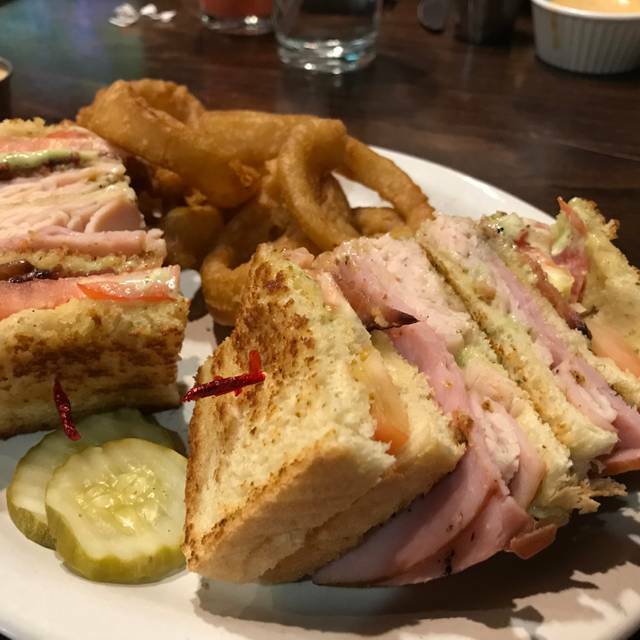 All sandwiches are served with your choice of fries, coleslaw or onion rings ($0.75). Gluten-free buns are available ($1). served with soup or dinner salad, roll and a side: rice pilaf, garlic mashed potatoes (all day), baked potatoes and garlic red potatoes (available 5pm). Add (4) grilled or beer-battered shrimp for $4. The food was great. The atmosphere was fabulous. My only complaint is my hubby ordered coffee and the waitress never came by to refill it. Not once. She checked on us after we received our food and that was it until we were done eating. It was nighttime and I realize that not everyone orders coffee at night but it shouldn’t matter. It is our favorite place to eat in Cache Valley. We eat out all over the world, so a 4 from us means that it is a 4. A 5 is something quite special and that quality of place is unlikely to fly in Cache Valley. This is now my favorite restaurant in Logan. I had their shrimp scampi alfredo, and it was excellent. It is very busy, so I do recommend getting a reservation beforehand. With a reservation, a few minute wait, but others walking in were being told 45 minutes. First off, it was a breeze using the OpenTable app. 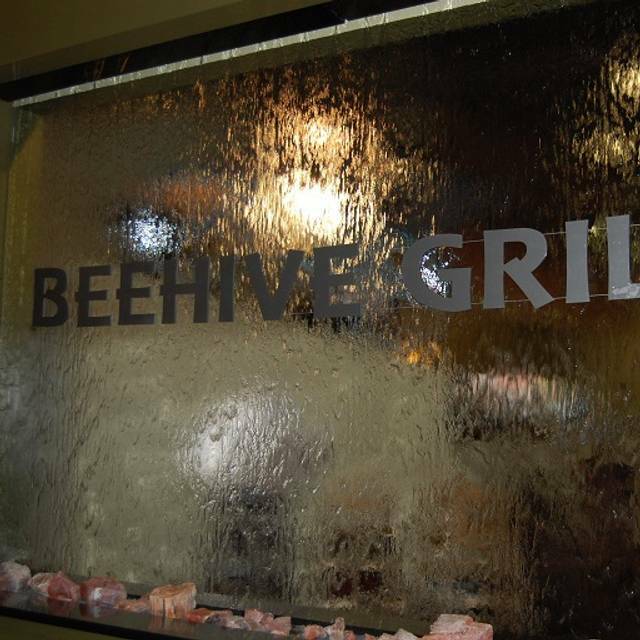 Once we arrived to The Beehive Grill, it was just as smooth. The hosts were great with a warm greeting and a quick interaction before we were sat at our table. Myself and my mom were visiting from out-of-state, celebrating my little brother’s birthday weekend. We told him he could pick anywhere in Logan and he easily made his decision on this cool place. Our server Byron was absolutely perfect for us. He greeted us soon after we sat down and informed us of the specials. He was quick and efficient and friendly, great for us since we like to keep things a bit low-key. Our food came in a timely manner and was delicious. We each tried each other’s meals and were very impressed. 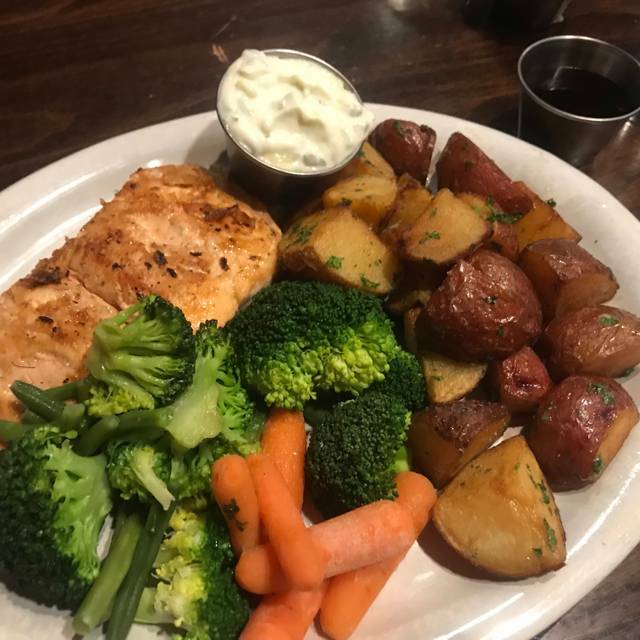 Salmon was cooked just right, and those red potatoes are on point! We were so stuffed, but did manage to save room for the best chocolate and cherry gelato I’ve ever had. It really was a great dining experience. Thank you to the staff and especially our server for making it special for us! Always enjoy going to Beehive Grill in Logan. Efficient restaurant with fun atmosphere. Gave me the wrong salad dressing but other than that a great menu and great atmosphere. We booked a table for the day after Valentine’s Day and asked for a booth and they gave us the best table in the house. The food was incredible as always. We tried the valentines menu and it did not disappoint. For desert we tried the chocolate raspberry cheesecake and the famous Turtle cake. The cheese cake was great but the turtle cake stole the show for sure! Everything went very smoothly and we had a very great experience. They had great service and wonderful food and atmosphere and were very kind. Great time in every way! Service was great. This is a great place for casual dining. The peppered filet medallions were a good choice but next time I would ask for no sauce, it was a bit overpowering, I prefer to taste the beef. Enjoyed the roasted potatoes and the vegetables were perfect. The raspberry chocolate cheesecake was one of the best deserts ever, the raspberry sherbet was not expected and it touched it off perfectly ... I would go there again just for the desert. It was Valentines night and had hoped for a more quiet intimate experience, our table was next to the open kitchen ... we had reservations and should have asked for a booth next to the window ... those had all been spoken for. The manager visited our table to see if the meat was cooked ok. We did enjoy our stay. Love this place! I've never had a bad server or bad food. Also, their fries with the jalapeño dust and house fry sauce is OUT OF THIS WORLD!! I go to the beehive for trivia almost every week. This week our waiter was fantastic! He did everything right. Our food was good and our drinks came quickly. This was noticeable because it is not always the case. Our regular group was very pleased with the service last Wednesday!! First time at The Beehive Grill. The food was excellent and the environment was inviting. The food was good, it server was super nice. The restaurant itself was fun. Best I could find to do in Logan. Go try it for sure!! Beehive Grill is now my favorite restaurant in town. The food is very fresh, and the flavor combinations are unique and wonderful. I usually go to a restaurant and find my favorite thing and just order that, but I haven't ordered the same thing twice at Beehive, and everything I've had has been fantastic. I can't say enough good about this place. My wife asked about a soup recipe, and while they didn't give us the magic ingredients, they did give us an extra helping to take home. My wife was in food heaven. I had the buffalo tacos as a special and they were divine. Salads are great too. The coconut shrimp and hot/sweet sauce is excellent. I could go on. We probably eat here once or twice a week now. The Beehive Grill offers standard fare at reasonable prices. The food is good and there is a lot of variety. The service can be a bit slow if it gets really busy. The wait staff and bar staff could benefit from some training to handle the really busy times. Overall, I would recommend this restaurant. They were very accommodating for our special seating request. Polite and professional. We had a great night!! The turtle cake was delicious!! The portions may have looked medium sized but they were very filling! Love the food! And service is always great! I haven’t gotten anything that hasn’t been good. If there is an ordering mistake, they are quick to fix it, no questions asked. Not sure what the point of making a reservation is if they don’t actually put you in the queue to be seated until you arrive. We waited for at least 25 minutes after our reservation time to get a table. One of the waitresses that came to our table was very curt and impolite (“Really quick, what do you want to drink?”). I understand that it was a busy time of day, and maybe that’s just how the dining experience is in Logan. I would recommend this place for lunch or maybe later in the evening when it has cleared out a bit. This was a birthday celebration and the food and service did not disappoint. Our table of 4 started with the Smokehouse Spinach & Artichoke Dip which is always one of my favorites. Normally I don't order salads as an entree but the Steak House Wedge Salad more than satisfied the carnivore inside me and was delicious with crisp butter lettuce, roma tomatoes, applewood smoked bacon, bleu cheese and topped with a 7oz grilled ribeye and crispy potato curls. My dining companions thoroughly enjoyed a Southwest Chicken Pub Sandwich, Ribeye Steak, and the Beehive Chop Salad with Chicken. All in all the Birthday Boy went home happy and well fed. Kudos to our server Alex, who was kept busy replenishing beverages and must have thought one of our guests was a camel the way the water was disappearing. Thanks Alex, job well done! Love the food! Service was excellent! Could not be more pleased with our meal. A winner on every level. Food is typical bar food, which is expected for a casual dining chain-type restaurant. But the service is awful. We were hosting a special guest visiting from out of town who asked for a beer recommendation. The server says "I don't drink" and then continues to just stand there, blankly, saying and doing nothing. When our guest asked about the availability of some beers, the server then proceeded to say that he could go write them down if we really wanted. The whole thing was incredibly awkward and completely unacceptable. I worked in hospitality for a long time and was vegan in fine dining for a few years. When people asked for recommendations, it would have been completely indolent and vacuous of me to say "i don't know, I don't eat meat." It seems absurd that I even need to explain something that is common sense, but an acceptable response is "xyz is the most popular choice here, or abc is our special seasonal item." And if you don't know something, the only acceptable response is "I will find out and be right back." Honestly, it shouldn't be this difficult. I realize that customer service is lacking all around in Utah, but again, that does not mean that you can't have higher standards. Great food and a fair price. On line reservations work great. Excellent service and delicious food. We were able to talk without shouting. Perfect location for a business lunch. We went from a table of 7 to 13. Even when full they found a way to accommodate us. We had a great meal, great waitress and would go back in a second. Our server was really helpful, friendly, and attentive. We're from out of town, and had a lot of questions about Utah's liquor laws. He took the time to explain them and recommended 'full strength' beers on the menu he though we'd enjoy. The food was delicious, hearty, and in the generous portions we'd come to expect in Logan. The food was great! A little too noisy to hear around the table, but all in all a fun evening! Beehive did it again!! Always great food and good service. We have started gong here recently and have been really impressed with the quality of the food. My wife and I enjoyed our 10 year anniversary this last week and were not disappointed. The tempura green beans are great and the chop salad is wonderful. The dressing is so good we ordered a quart to take home. the Asiago ravioli was wonderful and so surprising to come out of a place we thought would only really have good pub food. The new chef that they have brought in has made a world of difference and has made this restaurant our favorite in town. My wife and I look forward to many more visits in the future. The food was really good. Our waiter not so much. but I would be willing to give it a go again . Celebrated spouse 50th birthday - used OpenTable for reservation. Everything was seamless. Restaurant was expecting us - and even mentioned the birthday. The place was fairly full and had tables available, and I was happy to see they were holding a booth just for us. Food - I went with the daily special of NYStrip steak with mushrooms and cream cheese. Delish! Spouse went with the coconut shrimp and a full caprese salad. She loved it! Service was very good - Sheridan. Quality of food was very good. Steak was cooked just as requested. I usually call restaurants directly for reservations. Automated reservation systems have sometimes 'lost' my request - and I have to deal with that upon arrival. Frustrating. However, with OpenTable I was happily pleased with my experience. Everything had been captured and our experience went off without a hitch. I recommend Beehive Grill, and recommend OpenTable reservations. Michael was our server for the night and provided amazing service. Girl's night out with mom and four sisters - it was a fun atmosphere. Enjoyed each of our entrees, and took advantage of the gelato station. Draft rootbeer - the best!